Why choose Invisalign with CrownWood Dental in Bracknell, Berkshire? When most people think about teeth straightening, they picture the traditional metal ‘train-track’ style brace; complete with coloured bands, chunky brackets and fiddly wires. But many don’t realise this is by far from their only option. Invisalign are invisible braces designed to fit perfectly around your teeth. They apply light pressure in specific areas to gently guide your teeth to where they need to be. So which option is better for you and what factors should you consider prior to your teeth straightening treatment? Here, CrownWood Dental in Bracknell settles the Invisalign Vs. traditional Braces debate. One of the main reasons so many of our patients in Bracknell and across Berkshire choose Invisalign with us over traditional braces is time. The average treatment time for wire braces is two years or longer, whereas the majority of Invisalign cases are complete within 18 months or less. See some of our Invisalign before and after photos with treatment times for patients. And, when it comes to more minor orthodontic problems, Invisalign i7 and Lite can produce incredible results in as little and three to six months. That means you could have straighter teeth in less than a year by choosing Invisalign through your Bracknell dentist. In addition to this, traditional ‘train-track’ braces are bonded to the teeth 24/7. Invisalign can be easily removed for eating, brushing and flossing as required. The challenge with this is that you need a good level of self-discipline to ensure the treatment is effective. Invisalign braces must be worn for a minimum of 22 hours per day. Forgetting to put them back in when you should could impact on your treatment and even prolong your treatment time. The other main appeal of Invisalign is the idea of ‘invisible braces’. Made from a medical-grade clear plastic material, Invisalign braces are virtually undetectable when worn. 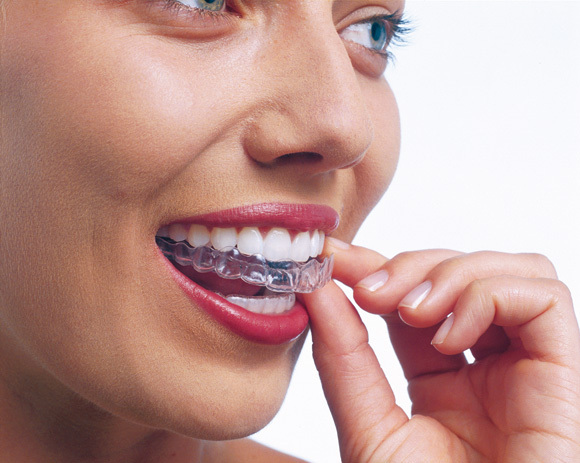 Invisalign is specially designed to be discreet. The aligners are custom-made to fit perfectly around your teeth, with carefully trimmed edges to suit your exact gumline. In fact, Invisalign is so effective in this that most people will only notice you have slightly shinier teeth than normal. Traditional braces are often criticised for their highly obvious appearance, with the usual ‘metal mouth’ jokes particularly common among teenagers. Adults are also normally hesitant to have wire braces as they are usually associated with adolescence. Without any metal in sight, it is unlikely anyone will even be able to tell you’re having treatment with Invisalign braces until your teeth straightening is complete. You can read some Invisalign reviews and watch some videos from some of our previous patients who talk about just how happy they were about the 'invisible' element to their treatment. If you’re thinking about Invisalign Vs. Braces, it’s usually worth considering how much effort they will take. With a traditional brace, you can expect frequent review and adjustment appointments with your orthodontist in Bracknell, Berkshire. From bracket tightening to wire trimming and replacing, there is a lot to keep track of. Whilst you will still have regular progress checks and reviews with your Invisalign dentist in Bracknell, you won’t need to worry about constant adjustments and alterations. Every step of your teeth straightening plan is expertly planned using our industry-leading 3D (ClinCheck) imaging technology. That means you’ll be given a series of bespoke aligners, custom made for your teeth at each stage of your treatment. Invisalign braces are also easily removable, allowing you to brush and floss your teeth as you normally would. The actual aligners, however, will need cleaning regularly. Your dentist will tell you more about this at your Invisalign consultation in Bracknell, Berkshire. Traditional braces are known for making brushing and flossing more difficult, since you’ll have to navigate your way around wires and brackets to clean effectively. The brace also gets cleaned when you brush your teeth though, so you won’t need to worry about washing this separately. Another key aspect of the Invisalign Vs. Braces debate is that traditional braces can have a huge impact on your life. Whether it’s avoiding treats such as sweets, steak and apples or being self-conscious about smiling in public, ‘train tracks’ have their limitations. In addition to their discreetness and the ability to remove them to enjoy your favourite foods, Invisalign is simply more comfortable to wear than a normal brace. With no wires or brackets, you’ll also be free of the painful cuts and irritation to your mouth and gums that can come from traditional braces. 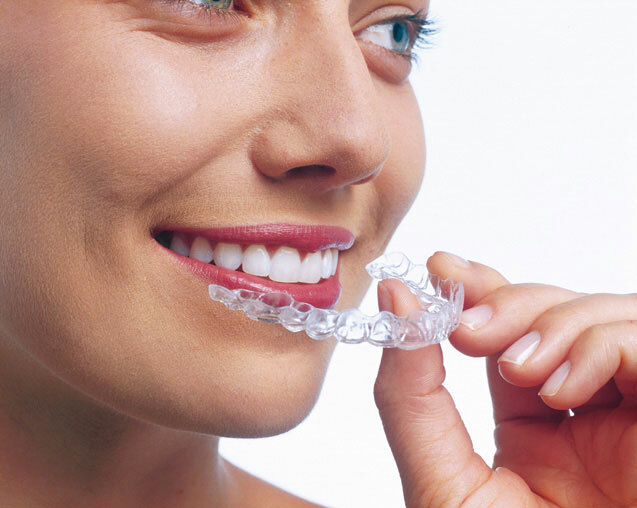 Invisalign braces are extremely smooth, feeling like a mouth guard or teeth whitening tray when worn. The clear aligners are also virtually invisible, which means you can smile confidently without having to worry about anyone noticing you’re wearing braces. However, as mentioned, Invisalign takes a certain degree of self-discipline in order to be effective. You’ll need to remove your aligners before eating and brush your teeth before putting them back in your mouth. This can be fairly inconvenient, especially when out and about. You will also have to be careful to remember to wear your Invisalign for the required minimum 22 hours a day. So forgetting to put them back in or losing an aligner means your treatment could be less effective. This is particularly common amongst teenagers and that’s why our Invisalign Teen includes a wear-time indicator and up to six replacement aligners. For Invisalign Vs. Braces overall, though, Invisalign offers much greater convenience when it comes to eating, drinking, and taking good care of your oral hygiene. Invisalign does carry a higher price tag than its metal counterparts. Invisalign Full for both upper and lower teeth costs £4,300 (includes ClinCheck) at our Bracknell based practice, where traditional wire and bracket braces cost from £3,300 and upwards. Whilst Invisalign Vs. Braces shows braces costs are cheaper, Invisalign take up to half the time of traditional braces to straighten teeth. To see our full Invisalign price list, please vist our Invisalign cost page. If you’re dreaming of perfectly straight teeth but don’t know whether to choose Invisalign or traditional braces, book your Invisalign consultation with our Bracknell team today. You’ll probably have a lot of questions to ask your dentist about Invisalign Vs. Braces, so here you’ll get the chance to ask our Invisalign experts everything you want to know about your treatment. We offer four different types of Invisalign: Invisalign Full, Invisalign Lite, Invisalign Teen and Invisalign i7 so there will be one suited to you. To book your appointment, please call us today on 01344 482882 or come visit us at the practice in Bracknell, Berkshire.